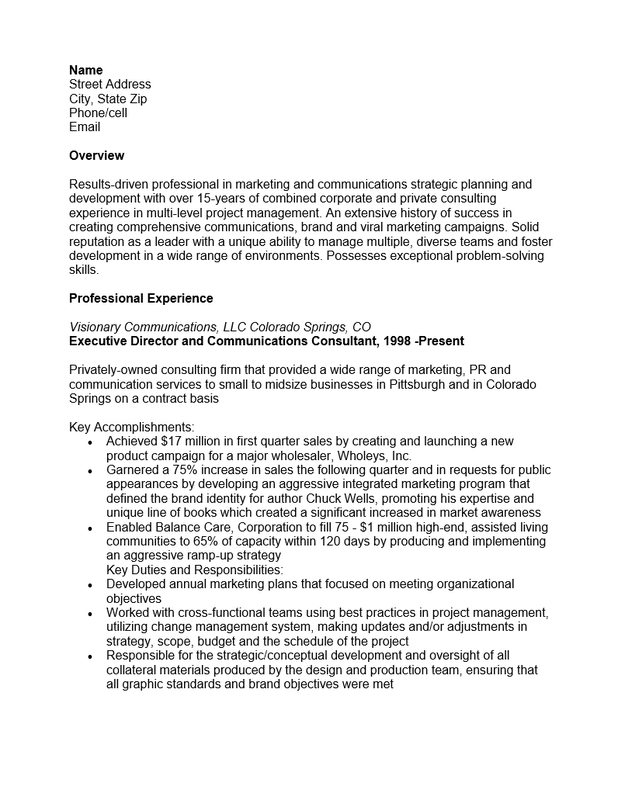 The Marketing Project Manager Resume Template pulls all the information job seekers attempt to place on a resume into a coherent and organized document. This template is designed to be both attractive and functional by giving a clear areas for a variety of subjects. This can be quite a time saver whether someone wishes to create one resume to be sent to an employer or if someone wishes to have a customizable resume which may address each potential employer individually. In either case, candidates merely need to gather their professional information into one area, set aside a reasonable amount of time, then fill out each section appropriately. The more time one can devote to the initial creation the less they will spend on the future when editing it to attract a potential employer. 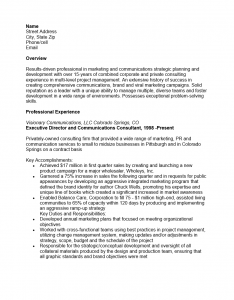 The Marketing Project Manager Resume Template’s main purpose is to help set an applicant apart from others, this gives recruiters the opportunity to closely review the document. Many recruiters will base their decisions on whether to have a candidate called for an interview on the resume they read, thus job seekers should utilize every advantage they have at their disposal when creating one. Step 1. The Name and Contact information must be placed at the top of the page for maximum visibility. They should be centered. Step 3. The “Professional Experience” section will deliver your working history. That is, the names, location, and dates worked regarding your previous job titles. This should accompany a short narrative of the company as well as a list of Key Accomplishments. The Key Accomplishments is a sub heading located beneath the narrative and should be a bullet list. Step 4. The “Education” section will close the resume. This will be a list of educational institutions where you earned a degree, the location as well as the official degree title.